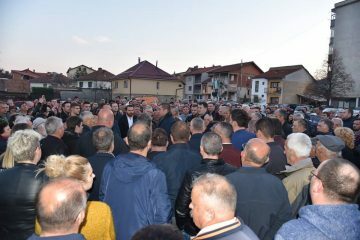 VMRO-DPMNE President Hristijan Mickoski met with supporters in Kicevo today, where he urged them to vote in the coming presidential elections, to put an end to the Zaev Governemnt and its “incredible ignorance and incompetence”. As a country we are faced with injustices at every step of the way. The Prime Minister tells us that he has protected our identity, and now we learn that the Macedonian Academy, one of the pillars of our statehood, will have to be renamed along with all other institutions. It is an injustice when Zaev is being freed from his bribery charges and innocent people are sent to prison to rt. It is an injustice when he promises salaries of 500 EUR per month, while in reality we have 500.000 people living in poverty, Mickoski told the citizens in Kicevo. 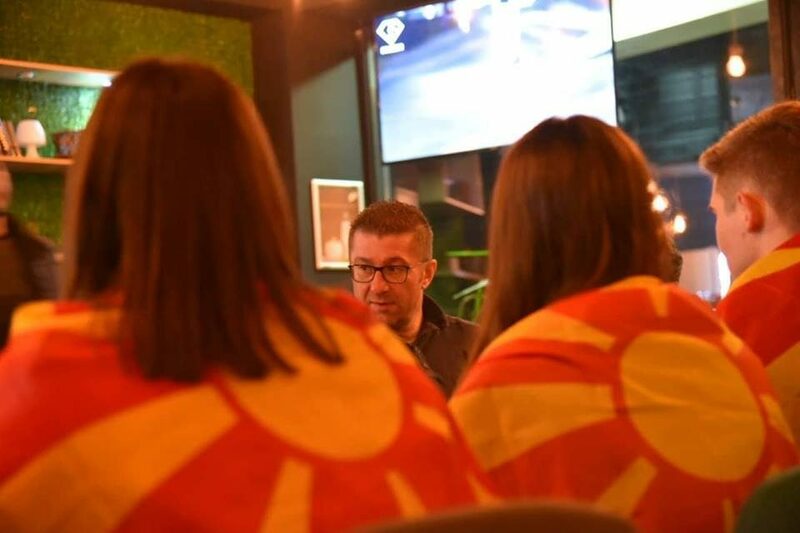 Mickoski said that Zaev’s way of running the country, with daily cases of political persecution, only leads to further divisions in Macedonia which endanger the future of the country. We see thousands of young people leaving or country, even though they were promised by Zaev that they will find their future here, Mickoski said. During the visit, Mickoski also met with retirees from the city, who saw their incomes cut under the changes in price indexing introduced by the Government. Over 300.000 retirees were lied to by Zaev’s Government. Instead of the promised increases, they saw salary cuts. There are no money for the retirees, but they can still find money for criminal procurement contracts they award to their companies, Mickoski added.